Orlando, FL, is no Mickey Mouse town. Well, actually it is. But it’s way more than that. Locals find nature and culture, and learn to pronounce things their own way. The name of the small city of Ocoee, for example, is pronounced oh-COE-ee for newcomers and oh-COY for natives. 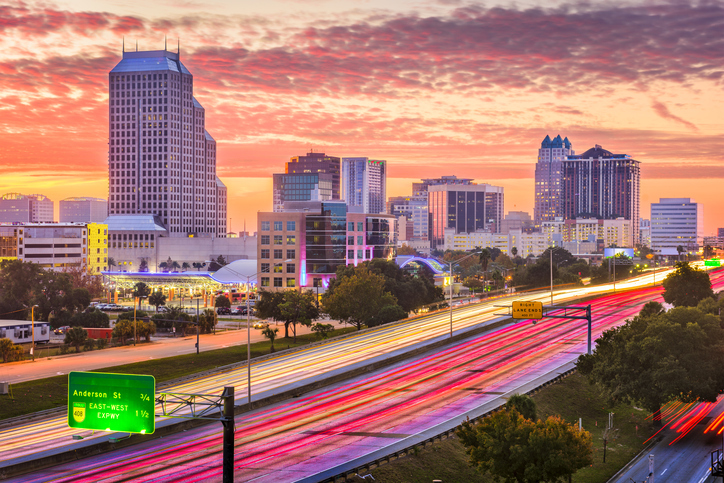 Here are 20 things you need to know before moving to Orlando. 1. East is north, west is south. You’ll get lost again and again in Orlando without knowing that our most prominent highway’s directions are topsy-turvy. Interstate 4, known as I-4, runs north and south through the metropolitan area, yet it’s labeled East (which effectively means North) and West (South). The reason: I-4 stretches from Tampa to Daytona Beach, a horizontal span. The Orlando section happens to be vertical. 2. You can actually find quaint here. Outsiders think of Orlando as theme parks and only theme parks. We actually have a proper downtown with tall office buildings. 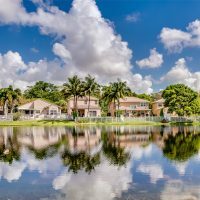 Better yet, Orlando has several homey neighborhoods with eclectic houses, leafy side streets and downtowns filled with locally owned businesses. 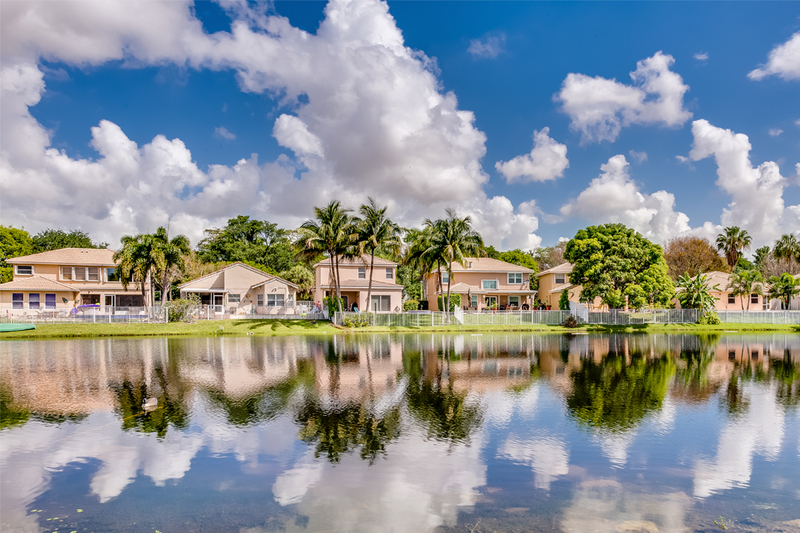 Thornton Park, College Park and Winter Garden are noteworthy. 3. You’ll get wet, and your dog will quiver. Every June and July afternoon, starting around 3 p.m., Orlando gets a monstrous thunderstorm. Rain hammers down harder than you’ve ever seen, lightning strikes repeatedly and thunder booms. Dogs tremble and duck under beds. That’s because Central Florida is the lightning capital of the U.S. and No. 2 in the world. An hour later, at most, the weather will clear and the puddles will dry up almost instantly. 4. Orlando has public transportation. You’ll get around best with a car; pedestrians and bike riders are sunk. But in the spring of 2014, the area got SunRail, a light-rail service running from DeBary in the north to Sand Lake Road in the south. Lynx buses operate throughout the area. 5. The food here is better than you think. Orlando might not have its own cuisine, but it does have a clutch of über-talented chefs. Their restaurants range from super-relaxed (The Smiling Bison) to fancy (Luma on Park). And a range of artisan grocers sells their wares at the East End Market. If chains are more your thing, know that restaurant operator Darden is based here, ensuring that Olive Garden and Seasons 52, among others, will be top-notch. Many chains operate their test units in Orlando’s tourist corridor. 6. Green is a big thing. 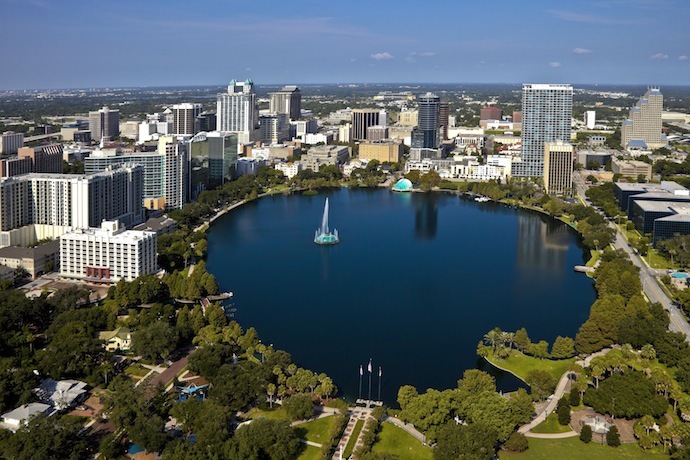 Soaking up its natural sunshine, Orlando — while no Seattle — is aggressively going green. Under the banner Green Works, Orlando has built the country’s first LEED-certified NBA arena, green-retrofitted hundreds of houses, planted thousands of trees and added hybrid garbage trucks to its fleet. … which is a boon only if you want guests. The rest of us turn guest rooms into offices. Orlando International Airport is the headliner, hosting about 3 million passengers a month. 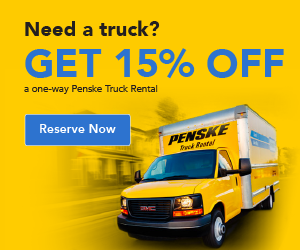 But travelers can find discount fares at nearby Orlando Sanford International Airport and fly into a few “executive” airports (for those with private planes). Visitors also can arrive via Amtrak train. Public and private buses, not to mention an endless array of private vehicles, run up and down Florida’s Turnpike. 8. Sports fans have plenty cheer about. College teams tend to have bigger followings than professional ones in Orlando (see: Gators vs. Seminoles), but that’s evolving. The Orlando City Soccer Club is boosting the capacity of its Major League Soccer stadium. The Orlando Magic already lays claim to Orlando as its home for hoops. And the Atlanta Braves hold their bat-and-ball spring training at Disney’s Wide World of Sports Complex. The Solar Bears take to the ice at downtown’s Amway Center. 9. You won’t be the only one confused by “Winter” towns. It takes years for most newcomers to distinguish among Central Florida’s “Winter”s. They are Winter Park, a well-to-do community with Park Avenue, a swanky retail center; Winter Garden, with a lovingly restored community center called Plant Street; Winter Springs, a bedroom community north of Orlando; and Winter Haven, a more rural community near the Legoland theme park. 10. Culture vultures will get their fix here. The Dr. Phillips Center for the Performing Arts debuted in November 2014 with three theaters, along with an outdoor plaza and performance venue. The city already has its own symphony, with an opera series, plus a ballet company. The area has several small theaters and museums, including the Charles Hosmer Morse Museum of American Art, which boasts an incredible array of Tiffany works. 11. Eco-enthusiasts have many ways to delve into nature. You’ll find locals enjoying the weather on an eco-safari — or on a zipline over preserved land — at Forever Florida. We ride bikes along the 22-mile West Orange Trail, rent canoes at Wekiwa Springs State Park, take pontoon tours of the Winter Park Chain of Lakes or the Harris Chain of Lakes, ride horses through the woods and hike parts of the Florida Trail. For those of us without boats and lake access, there also are airboat rides, natural springs and manatee spots to explore. 12. Theme parks don’t have to be ridiculously expensive. The theme parks want residents to fill the parks when tourists are away, so they offer steep discounts for locals who don’t mind restrictions. Look on the Walt Disney World, Universal Orlando and SeaWorld Orlando websites for details. 13. Entertainment can be free or cheap. Catch a Popcorn Flicks film on the lawn in Central Park. Take in a date-night jazz stroll or movie under the stars at Leu Gardens. On Friday nights in downtown Winter Garden, old-timers play tunes from generations ago. And occasional concerts are staged at downtown’s grand Lake Eola. This is how the locals live. 14. Expect a smile wherever you go. Disney World hires its ultra-friendly “cast members” from the surrounding community, and it’s a natural fit because Central Floridians tend to be an open, agreeable bunch. Strangers may give you a coveted parking spot, help change a tire or freely guide a lost driver. Everyone in every subdivision waves hello. It’s jolting at first, but even hardened cynics come to embrace the practice. 15. Orlando is big on biggies. Disney World is the biggest biggie of all, with about 63,000 employees, supposedly the most at one business workplace in the U.S. But you’ll also find the headquarters for Tupperware here, along with large chunk of Lockheed Martin. The University of Central Florida is the country’s second largest college, with 60,000 students. 16. Even the churches are big. Megachurches attract thousands of worshippers a week (plus the occasional headline-worthy scandal). 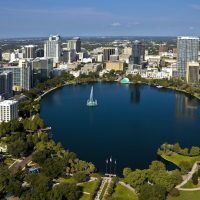 Among them are the 130-acre First Baptist Orlando, with 13,000 members; Northland, which holds 15,000 worshippers; and the multicampus Summit and Discovery churches. 17. You’ll see how Florida gardens grow. Tending to home gardens is tricky because Orlando’s land is sand, not soil. Don’t even bother putting those daisies in the ground. For a flower fix, head to Harry P. Leu Gardens, Mead Botanical Garden or Bok Tower Gardens. While you might not get to see all you want, the suburb of Apopka is known as the “indoor foliage capital of the world” thanks to its commercial greenhouses. 18. Be careful where you stand. The sky isn’t falling, but the earth might. Sinkholes unexpectedly open up in Orlando. The small ones often can be filled in. In worst-case scenarios, though, they swallow up entire homes. Besides name-brand theme parks and attractions, Orlando is home to a bunch of quirky ones. One enthusiast has put together The Presidents Hall of Fame, with miniatures of White House rooms from every administration. Religious visitors might enjoy the Jesus-centered Holy Land Experience, Gatorland revolves around alligators, and the Reptile World Serpentarium houses more than 50 types of snakes. There’s even a venue called Warbird Adventures that’s dedicated to retired military planes. 20. Orlando is a small town. It’s not, but it is. Until Disney World opened in the 1960s, this was a “cow town” — more Deep South than destination. You’ll find evidence of this when you meet those few folks whose families are from the area and you spot cows grazing in quiet pockets adjacent to developed areas. Orange groves proudly stand right near new construction, too. Rona is a writer based in Florida.